These funds are limited so hurry before California runs out of its generous funds, residents of California can receive Down Payment Assistance for a home purchase using the FHA CHF ACCESS loan which only requires 1/2% (one half) down payment. thats right thats only $500 per $100,000.00 financed. This will help both first time and move-up or second time home buyers more easily qualify for a home in Temecula, Murrieta, Menifee, Lake Elsinore, Canyon Lake, Corona, Riverside & San Bernardino County. 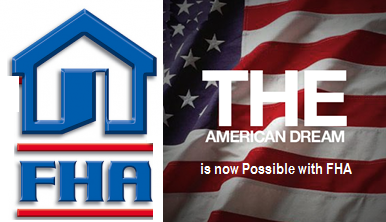 How does the FHA CHF ACCESS work? FHA allows a second mortgage from CHF ACCESS to cover 3.0% of the buyer's down payment by using the Access 2nd down payment assistance loan. The 1st loan is a traditional FHA 30 year fixed at 96.5% LTV and the 2nd loan can be 3% of the purchase price….yielding the total loan to value to 99.5%. Or, if you already have the 3.5% down payment, and the seller is not giving the buyer a seller credit, the 3% funds can be used to pay for closing costs! QUESTION: Will I have a payment on the 2nd mortgage? The 2nd loan can be either a Grant or a loan. If you qualify for the grant then there is zero payment, thats right no payment ever you will have a zip zilch NADA payment. You will never have to pay it back. You will however have a small payment if you only qualify for a loan & not the grant. That is a 15 year fixed @ 8.25% APR. If you purchase a home for $250,000 your 2nd mortgage loan balance will be $7,500. Payment on a 15 year loan will only be $72.76/month!! If you don’t want to do that, go hit grandma or Vinnie the Butcher up for the down payment and see how that goes. QUESTION: What if I already owned a property? Those who may have owned a home in the past are still eligible to apply for CHF ACCESS half percent down payment program. QUESTION: Can I use this program if I own another property? *You may also currently own a home and rent it out and buy another one even if you are upside down in value. QUESTION: What type of appraisal is needed? QUESTION: What is the minimum Fico? Minimum 580 Fico or No Fico score may qualify. CHF Access requires a minimum 580 fico score up to $417,000 conforming loan limits. CHF Access Jumbo from $417,000 up to maximum FHA loan limits, which requires a minimum 600 fico score. CHF Access Program requires a minimum 580 fico score to qualify. You may also qualify with NO FICO SCORE! Pay your own closing costs or ask about premium financing which can minimize your out of pocket closing costs expenses and get your offer accepted today. So depending on how much you want to invest into the down payment and closing costs, is going to influence which program will benefit you the best financially. The interest rates are at their lowest in these unprecedented times. Homes are affordable, rates are low and gas prices are also at their lowest, give us a call and see how we can help you live the American dream. Why rent when you can live the American home ownership dream and own your home. Stop paying someone else's mortgage & buy your home.